Appliance automation can combine lighting control, security, audio visual, heating and cooling in one easy system to provide efficiency and control to your business and outside areas. We are the Appliance automation installers you can trust. Let your commercial premises control many aspects of your working environment and give you the ability to control your business appliances from anywhere. Appliance automation allows your business premises to take control of many aspects of your environment and can reduce energy costs. R.B. Grant Electrical Contractors design, supply and install appliance automation systems to control all aspects of the home. We supply our appliance automation services all over Scotland from our Fife base. Appliance automation systems allow you to control the working environment using smart technology. Electrical control allows you to adjust and alter lighting, appliances and machinery to suit environmental changes. Appliance automation can be controlled effectively with a LCD screen, via the telephone line, remote control automation, internet, wireless systems or on a smart phone. Workplace automation can greatly enhance the features of your working environment – everything from TV, video, music, alarms, CCTV, lighting, heating, air conditioning, blinds and curtains. .
Appliance automation can be controlled from anywhere, or even outside your workplace. Control of your lighting, blinds, temperature and audio video systems from several locations can simplify your life, as well as make your businesses atmosphere more congenial to working hard. Don’t worry if you want to install modern day adaptations like appliance automation, security and entertainment to an existing dwelling. Our electrician can do this without creating damage to your decoration. Most of the systems can be retro-fitted without the need to pay for plastering and repainting. Wireless systems can be used in a pre-existing house as there are no major structural changes. Mr Wright “We decided to install home automation for our new holiday home in St Andrews. As we only live in Scotland for around 5 months a year we wanted piece of mind over the winter months that our house was heated and also secure. The home automation system designed by RB Grant incorporated heating , lighting , security, entry and music with one simple system. We can log in with an iPhone or iPad and control many aspects from abroad. The system will alert us if the security alarm or fire alarm goes off and most importantly we can monitor our heating. We can even open the front vestibule for parcel delivery while we are 1000 miles away and see the delivery man on the screen , the often think we are just up the stairs . I would happy to recommend RB Grants home automation services”. The world of appliance automation is growing rapidly. We keep up to date will all new products to provide our clients with the current technology. So what can be automated around in your workplace? Lighting – lighting controls provides different settings for each room or area. These can be controlled through the touch of a button – remote controls or touch screen pads which can be placed throughout the workplace. Lighting control can include energy management, integration with other services, scene setting and internet access to control lighting. We can supply a full lighting design in Scotland. CCTV – a variety of CCTV systems can be installed depending on the client’s needs. R.B. Grant’s expertise can provide guidance to ensure these requirements are met. CCTV systems can include infra-red cameras, colour cameras, CCTV systems linked to monitoring systems and remote review cameras i.e. accessible over the internet. Door Entry Access Control – is an effective way of monitoring access into and out of a property. Burglar / Intruder Alarm – have peace of mind knowing your home is secure and can be monitored from anywhere in the world. Lighting control can also be integrated with safety in the home. For example, if the intruder alarm is activated, all lights in the property can come on to distract intruders. Multi Room Entertainment Systems – multi room systems allows you to listen to music and watch TV in any room of your home with the touch of a button. Fire Alarms – a variety of fire alarms can be installed to suit your individual needs. Fire alarms can be integrated with lighting control so the lights automatically come on to create a pathway to safety. If you are looking for a good workplace automation installer then look no further than RB Grant . We have many happy clients all over Scotland for our appliance automation systems. Our services include: Domestic, Commercial and Industrial, Fire Alarm Installations and Periodic Testing and Inspection. R.B. 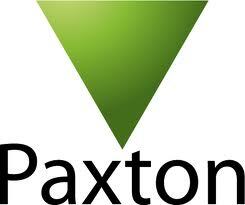 Grant Electrical Contractors are Paxton Access Registered Installers.